Real estate investing can be one of the most lucrative, and the most stressful ways to invest your money. Whether you’re interested in flipping real estate for a quick profit or maintaining multiple rental properties for a steady stream of income, there are a lot of factors to consider if you’re a new investor. In today’s digital age, real estate investors have access to tools and resources like never before. That means that new investors can quickly get up to speed and learn what they need to know to be successful. In order to help you in your real estate journey, we decided to list 27 tricks and tips related to real estate investing for beginners. Click here to learn how you can get started in real estate investing with as little as $500. If you’re starting out investing in real estate expecting to become a millionaire overnight, the truth might be disappointing. While you may hear stories of new investors getting rich almost as soon as they start out, you shouldn’t start real estate investing with that expectation. Real estate investing for beginners takes a lot of time and a lot of patience. Your first real estate investment may not be successful, or you may make multiple mistakes along your real estate journey. What makes the difference between a successful investor and an unsuccessful one is how you adapt to the challenges of real estate investing. Don’t be afraid to spend a significant amount of time researching before you even make your first real estate deal. One of the biggest mistakes new investors make is going all in without researching real estate investing for beginners, which can lead to huge financial mistakes. Do your homework before you even think about making your first real estate deal. There are dozens of real estate niches out there, and nobody knows everything about all of them. However, when you start your research, you’ll start to hone in on your specific niche and focus your research efforts on what you’re interested in. 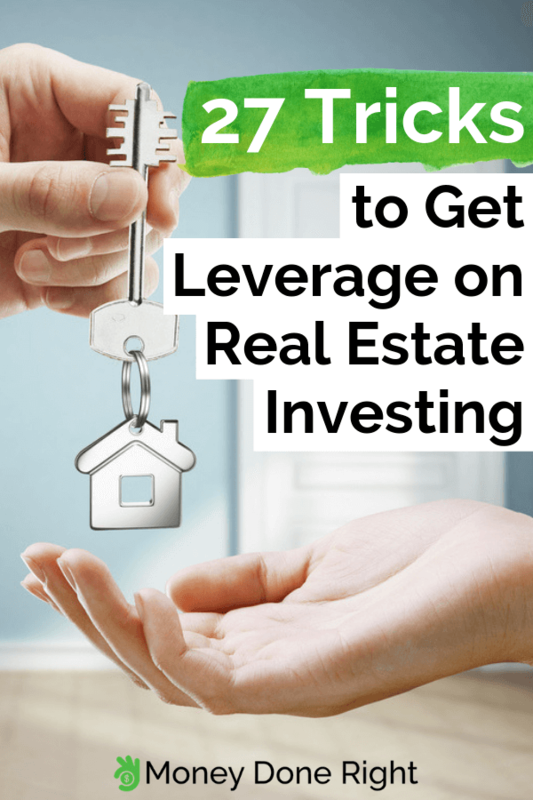 If you’re interested in real estate investing for beginners, chances are you’ve seen advertisements from so-called ‘gurus’ that claim to have the secret to becoming an overnight millionaire. Before you sign up and shell out potentially thousands of dollars for information that you can get for free, do diligent research. In fact, many gurus that post ads and videos on Facebook and other social media channels often rent those mansions and cars that are so prominently featured in those videos, in the hopes that you purchase their course. While real estate investing can be complex, you don’t need to pay gurus to get started. If we haven’t made this clear already, you need to spend a significant amount of time studying and researching real estate investing techniques and methods. You’ll probably spend a lot more time researching than you will actually spend striking deals and investing in real estate. It’s not only important to get a good foundation of real estate investing, but you also need to stay current with the latest techniques, terminology, and even local and federal laws pertaining to real estate investing. Click here for more useful tips on how to invest in real estate online! Join local real estate investing groups to connect with like-minded individuals that can help you on your investing journey. A simple search on social media should connect you with countless locals wanting to connect with and help others in the investing process. Whether you network online or in-person, you should always make networking a top priority when you start out investing. By networking with those already in the industry, you’ll learn insightful tips and tricks, get to know key players in your market, and create meaningful contacts that can help you down the road. Most new investors want to get started on the biggest deal possible. While bigger deals often generate higher profits, it’s okay to start small when you make your first real estate investment. Starting small may also protect your assets and make for a more secure investment. Everyone has to start somewhere, and starting out with a small single family home or even a joint-venture with a partner is a great way to get started with real estate investing for beginners without creating too much risk. If you’re looking for more ways to make money to further invest in real estate, check out our recommendations here. There are so many fantastic investment tools available to new and experienced real estate investors. From networking platforms to ways to buy property entirely online, don’t be afraid to test out these new tools and technologies for yourself. Successful real estate investors embrace new tools and methods and are typically the first ones to try them out. Once you start testing things out, you’ll find what’s right for you. In fact, our next few tips go over some of the top tools for real estate investing for beginners and experienced investors alike. Fundrise is a leading real estate investment platform that is changing the way that new and experienced investors get involved in the real estate marketplace. What once was only available to ultra-rich real estate investors is now available to virtually anyone. When you sign up for Fundrise, you’ll get access to private real estate investment opportunities all around the country. Investing through Fundrise also means gaining access to a team of real estate investing experts that can help you manage your portfolio to realize maximum returns on your investment. You’ll get the opportunity to diversify your portfolio and invest in a wide range of real estate options, from single-family homes to large corporate buildings. If you’re not sure where to start with your real estate investments and need expert-level guidance, Fundrise is the perfect place to start. Unlock access to exclusive real estate investment opportunities by signing up for Fundrise today. Stash provides creative and flexible real estate investment solutions for new and experienced investors alike. You need just $5 to get started, and Stash gives you access to both ETFs and stock options right through the app or website. While Stash does not offer robo or human portfolio management services, it does provide tools and resources to guide investors on building a diverse portfolio, and makes it easy for investors to buy and sell securities on the Stash platform. The investment experts at Stash have created a wide selection of investment portfolio options, including real-estate investment opportunities that can help you generate passive income. Start your real estate investment journey with just $5 by signing up for Stash today. Roofstock changes the way that real estate investors buy and sell properties. Offering a fully-online purchasing experience, investors can purchase properties without ever leaving their homes. Roofstock is a fully-online platform where you can buy and sell single-family homes to convert into rentals or renovate and sell for a quick profit. You can search available properties to quickly compare purchase prices, neighborhoods, and potential returns on investments. You’ll have access to a host of tools and resources to help you navigate an online purchasing process, as well as a team of real estate investment experts that can help you on your investing journey. Invest in real estate across the country without leaving your home by signing up for Roofstock today. One of the oldest rules of any type of investment is to buy low and sell high, and the same goes for real estate investments. Most investors rely on Multiple Listing Service (MLS) listings to find properties to purchase. New investors may make the mistake of buying properties at market value. Buying properties at market value can cut into your rental profits and reduce your profit if you renovate and flip the property. Don’t be afraid to make an offer far below market value. While the offer may not be accepted, understanding the process of buying property and being flexible with a seller’s needs can help you secure a lower purchase price. Real estate investing for beginners can be an emotional experience, but it’s important to keep your emotions out of any investment you make. When you start making decisions based on your emotions instead of sound investing logic, you’re much more prone to making costly mistakes. Becoming overly attached to a property, or having the mindset that you can’t fail are two common mistakes that get in the way of successful real estate investments. Never begin the purchase process without having multiple ways to get out of the purchase, otherwise known as exit strategies. Your purchase contract should have multiple contingencies that allow you to walk away if necessary. If you don’t plan for your exit strategies, you could end up being forced to purchase a property that costs you more money than it earns, which is never a good situation to be in. Everyone knows that the most important aspect of real estate is location, location, location. The location of your investment has just as much of an impact on the value of the property as the actual property itself. If a deal seems too good to be true, take a step back and evaluate the location of the property. Location can make or break your real estate investment deal, so always do diligent research into the areas you’d like to invest in. Creating in-depth real estate projections is much easier said than done, even for experienced real estate investments. What we mean is to make your own decisions about your real estate investments rather than letting others make decisions for you. When you start doing your investment research, you’ll find that there are plenty of people out there who like to make bold, generalized statements about real estate investments. Real estate values, trends, and inventory greatly vary from place to place, so research your area first to gain a strong understanding of real estate trends in and around your location. For more advice on real estate investing for beginners, check out this article. As with any investment portfolio, diversity is extremely important. However, diversifying a real estate portfolio is much more difficult and much more expensive than diversifying a retirement portfolio, for example. Thinking back to tip number six on our list, the best way to build up to a diverse real estate portfolio is to start out small. Big, risky purchases mean a higher chance of losing big on your investment. With small, reserved purchases, you can learn the ins and outs of real estate investing for beginners without as much risk, which allows you to build your skills and assets over time. For those interested in rehabbing and flipping homes, a small upgrade can go a long way in terms of overall home value. It’s very easy to go overboard on upgrades and renovations, and understanding the cost versus post-renovation value is an important factor in making a profit on your flip. Some new investors simply invest too much time and money into renovating a home, not realizing that the area can limit the sale price of the home. It’s common for new investors to put so much money into renovations that they actually lose money when it comes time to sell. As we’ve mentioned before, the location of your property has a substantial impact on its overall value. Crime rates and foreclosed homes can severely decrease the value of your property, which directly hurts your profits. If you’re buying in an area with a lot of foreclosures, you need to be careful when deciding what to do with your property. Both renting out and flipping homes in areas that have high crime or foreclosure rates can be a risky move, but it often means a much lower purchase price. Assess the overall demand and market conditions for that specific area before you commit to buying. Your budget should be your guide when it’s time to invest in real estate. Whether you want to repair a property and flip it for a quick profit or turn it into a rental for long-term income, understanding your budget and sticking to it is something that many real estate investors don’t do. In fact, you may see some investors say that your budget doesn’t truly matter. However, for new investors, you want to stay within budget in case your deal goes south. If you’ve gone over budget and things don’t turn out according to plan, it could lead to serious financial consequences. Once again, start out small and don’t purchase anything that’s more than you can handle. Have budget restrictions but want to get into real estate investing? Find out how you can invest in real estate with as little as $500. Timelines are also important when you’re just starting in your real estate investment career. While a timeline can certainly be more flexible than your budget, creating a timeline and sticking to it can help you learn how to be more efficient in the real estate investment process. Set goals for when you want to find your first property, make an offer, and negotiate. You should also set a timeline for renovations and upgrades after you’ve purchased the property. Time is money, and when it comes to real estate investments, every second counts. We have a very complex legal system, with virtually every location having different real estate laws. If you’re an investor who wants to purchase only in your location, learning your local real estate and tax laws shouldn’t take much time at all. However, over time you may want to invest in other locations, and it’s extremely important to understand the real estate laws in every location that you’re buying. If you don’t research real estate laws, you may not only get into financial trouble if you do something against local laws, but you may also face severe legal consequences. It’s always a good idea to have a trusted advisor to turn to when you begin investing in real estate. This can be another real estate investor that you met while networking, a trusted real estate attorney, or even a friend or family member who is also a real estate investor. Having an advisor can help you see things from a different perspective, which can guide you in making smarter investment decisions. At the end of the day, real estate investing for beginners is a numbers game. What are your projected returns? What’s your cap rate? What’s your loan-to-value ratio? These are just a few of the key mathematical investment concepts that you need to know before you start investing in real estate. Flipping a property earns very differently than renting that same property out, so always research the area to see what would work best for your real estate investing goals. Most new investors don’t have enough money saved up to pay for a property in cash, which means that most investors need to get some form of mortgage to fund their first investment. There are tons of mortgage options out there, including conventional loans with various fixed-term rates, adjustable-rate mortgages, government-insured mortgages including FHA and VA loans, and jumbo mortgages. Depending on your needs and how much cash you have saved up, you may need to consider low down payment options to start off on your first investment. If you do have the cash available, doing a cash deal has tons of benefits when compared to securing a property via a mortgage. There are fewer upfront costs, shorter closing periods, fewer contingencies, and greater financial stability for both the buyer and seller. Cash deals mean you pay no interest, and the seller gets their money faster. You also have access to tap into your property’s equity in case of emergency, and in the case of renting out the property, rent payments above monthly expenses are pure profit. Real estate investors were previously limited to their location, but in today’s digital world, you can invest in properties across the country in just a few clicks. Don’t be afraid to branch out to other locations. Once you’ve learned real estate investing and have practiced in your area, exploring new locations can unlock even greater earning potential. Real estate markets fluctuate regularly and isolating yourself to your specific location limits your earning potential. Our final tip on real estate investing for beginners is to reinvest your earnings. While real estate investments won’t make you rich overnight, using the right skills and knowledge, you can generate mass wealth over time. By reinvesting your earnings into more properties, you’re accelerating the rate at which you earn. The more you make, the faster you can increase your earnings. Interested in even more ways to earn money? Check out our top suggestions here. Are you a new real estate investor looking to break into the market? Do you have experience investing in real estate? Let us know about your experience in the comments below!